SPRINGDALE, Ark. - The Kansas City Royals have announced the 2018 Players and Pitchers of the Year for their nine (9) Minor League affiliates. The Royals named Northwest Arkansas infielder Jecksson Flores as the Naturals' Player of the Year while relief pitcher Jake Newberry was selected as the team's Pitcher of the Year for the 2018 season. Flores, 24, spent his first season with the Northwest Arkansas Naturals in 2018 and had a year to remember. The infielder set numerous career highs on offense and culminated the season with a Texas League batting title. His .314 average (144-for-459) led the circuit and made him just the second Natural in franchise history to win the batting title, joining Clint Robinson in 2010. Flores primarily played second base and shortstop during the year but also saw time at third base and in the outfield. He was a mainstay at the top of the lineup and led the team in doubles (31), total bases (202), and on-base percentage (.363). The mid-season Texas League All-Star also hit seven (7) home runs and accumulated four (4) double-digit hitting streaks during the year. 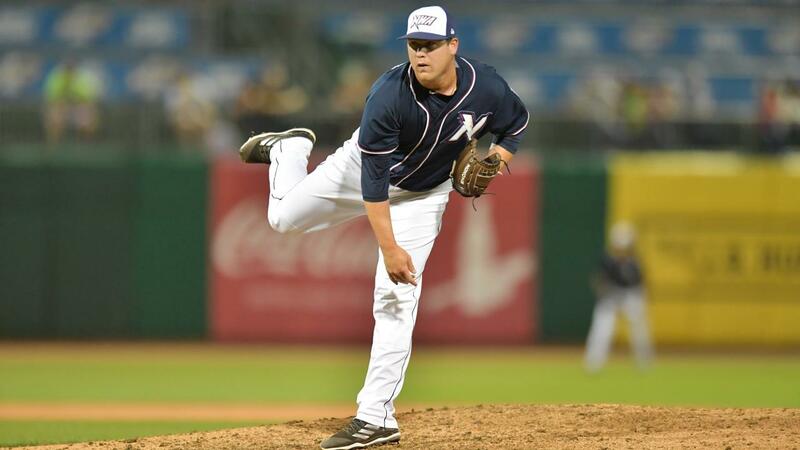 Newberry, 23, was selected as a mid-season Texas League All-Star after being a dominant force out of the bullpen during his time with the Naturals this season. Appearing in 25 games for Northwest Arkansas, Newberry went 2-0 with a 2.12 ERA (7 ER in 29.2 IP) to go along with 31 strikeouts and a league-best 12 saves prior to his call-up to the Triple-A Omaha Storm Chasers. After making his Major League debut on August 20, the Naturals Pitcher of the Year became just the third Natural to reach Kansas City after starting the year in Northwest Arkansas, joining Jason Adam and Glenn Sparkman . Through three (3) levels this year, including Double-A, Triple-A and Kansas City, he is 7-0 with a 1.75 ERA in 53 appearances to go along with 15 saves. All of the Royals' award winners will be at Kauffman Stadium on Friday, September 28 for Futures Night, where they'll take part in a pregame autograph session with fans before being honored in an on-field presentation prior to the game against Cleveland. The Northwest Arkansas Naturals will return to Arvest Ballpark next year on Thursday, April 4, 2019 when they'll host the Springfield Cardinals (Double-A Affiliate of the St. Louis Cardinals) on Opening Night of the 2019 season. Follow the Northwest Arkansas Naturals on Facebook and Twitter @NWANaturals all throughout the year by using the hashtag #NaturalPastime and #CrowntoCrown for all of our up-to-date information on the upcoming 2019 season of Naturals baseball.